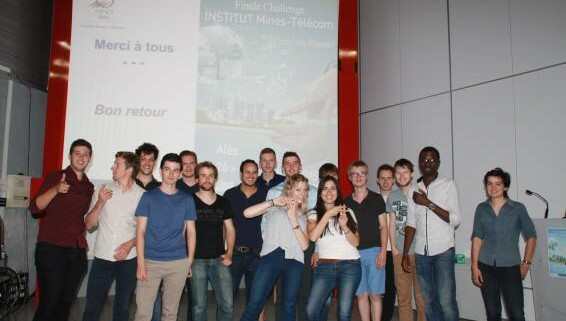 IMT held its first student Entrepreneurial Challenge from 26th to 28th June at Mines Alès, bringing together its Mines and Télécom graduate schools. The challenge for the teams, who were from the network of Mines-Télécom schools, was to design and build the intelligent city of the future. 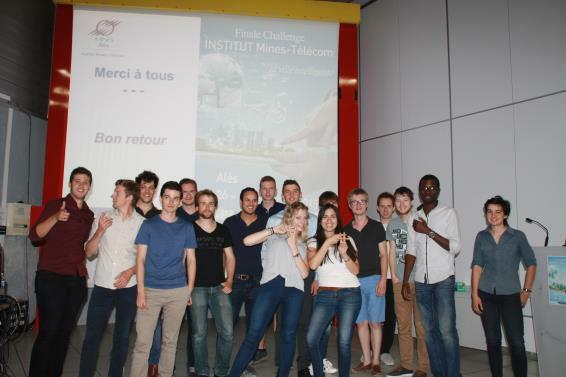 The thirteen teams that took part each contributed a project for the creation of products, services and/or innovative firms and had been pre-selected within the different schools: Mines Albi-Carmaux, Mines Alès, Mines Douai, Mines Nantes, Télécom Bretagne, Télécom ParisTech, Télécom SudParis and Télécom École de Management. 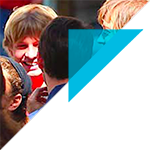 When they arrived at Mines Alès the teams were mixed up in order to make the most of the complementarity between the different courses the engineering student followed. Equipped with techniques for innovation and creativity, the future engineers were then given free rein to come up with innovative technology that, tomorrow, will allow today’s cities to provide enhanced and more ecological services. Results: 4 teams were selected for the final decision. lastly, Meebike, a 3 in 1 bicycle (project led by Mines Douai). 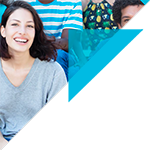 The success of the first student Entrepreneurial Challenge by IMT was not only thanks to the in-depth discussions between the students from the graduate schools, but also because it interested various partner companies such as Legrand, Crédit Agricole Languedoc and La Poste, as well as the Norbert Ségard Foundation which will provide the technological innovation prize. Michel Ferlut, Economic Development Director at Mines Alès and Coordinator of this inaugural competition, explained that “the student Entrepreneurial Challenge by IMT is an original educational project. We wanted the students to benefit from the complementarity of the training offered by the schools and to develop their ability to adapt and integrate a new team”. Following this challenge, Emmanuel Macron, Minister for the Economy, Industry and Digital Affairs, has already agreed to preside at the prize-winning ceremony this October in Bercy.